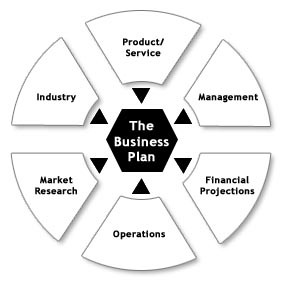 We do not expect you to have a detailed business plan before we invest from the UK Innovation & Science Seed Fund. But generally it will be the key sales document for other later-stage investors and many angel investors. It should show them why your company is an attractive business in which to invest. The plan should be readable, concise and avoid jargon. Investors are not familiar with your company, so do not expect them to understand immediately the unique features of your business. You will need to consider the following when writing your plan. How do products and services benefit the end user? What are the competitive advantages of its products or service to its end users? Explain pricing, quality, capacity and availability. Do the products/services have patents, trademarks or copyright? Provide details of the company’s advertising/ PR obtained/ trade associations/ website/ brochures/ mail shots. What is the market/ industry sector? What are the market trends, growth rates, fragmentation, radical changes etc? What influences customers’ buying decisions? Highlight each team member’s skills and what each member adds to the team. Provide detailed cvs for all directors/ shareholders and key management. If you are a new management team; how did you meet? What performance measures do you use for management? Tell us about problems your business has encountered and how you overcame them. What are your personal aspirations? Who are your advisors, e.g. auditors, non-executive directors, solicitors, bankers? Provide historic audited accounts, draft accounts and most recent management accounts. Provide detailed cash flows, balance sheets and profit and loss accounts on a month by month basis for 24 months using the last year-end’s balance sheet as the starting point. List major customers and for each major customer the amount invoiced and the gross margin achieved per annum. Identify fixed and variable costs in as much detail as possible. Detail and provide back up evidence of all borrowing facilities including bank overdrafts, factoring arrangements, hp etc. Do you envisage subsequent rounds of funding?